Conventional power plants affect the environment by emitting greenhouse gases and other toxic pollutants. On the other hand, the reserve of fossil fuel is depleting day by day. It has been becoming obvious that renewable energy can overcome these challenges enormously. Solar photovoltaic (PV) has been gaining a significant popularity among renewable energy sources since last decade. Solar PV power plants are replacing the traditional power plants. The annual investment of solar PV system rises with a high growth rate in recent years. In 2015, the investment in solar sector was USD 161 billion which was the highest among all renewable sources, e.g., wind, biomass, biofuel and geothermal. Now, the cost of electricity generation from solar PV system is comparable with the cost of electricity from traditional generation systems. By the end of 2016, the cumulative installed capacity reached at around 300 GW whereas it was only 17.06 GW in 2010. About 15,000 tons of carbon dioxide emission can be reduced every year by a 10 MW solar PV plants. 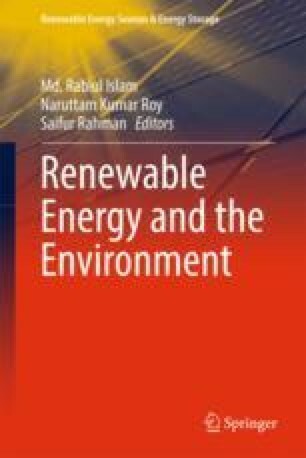 However, this chapter presents a detail analysis of a large scale solar PV power plant. The comparative technical specifications of different components of large scale solar PV plant, e.g., solar module, inverter, tracker and transformer are presented in the chapter. In addition, necessary factors that influence the selection of a site for a solar PV plant are also discussed.